A 6.1-inch notch phone available in six colors, powered by an A12 Bionic chip, and features a 12 MP rear camera + a 7 MP TrueDepth selca. The lowest price of Apple iPhone XR is P41,500 at Taiyen General Merchandise, Shanylle General Merchandise, mar&aquil cellphone&accesories, Tere Cellphone & Accessories and Amisha-Fae Gadgets & Accessories, which is 34% less than the cost of iPhone XR at Adobomall, Silicon Valley (P62,490). This smartphone is available in 64GB, 128GB, 256GB storage variants. 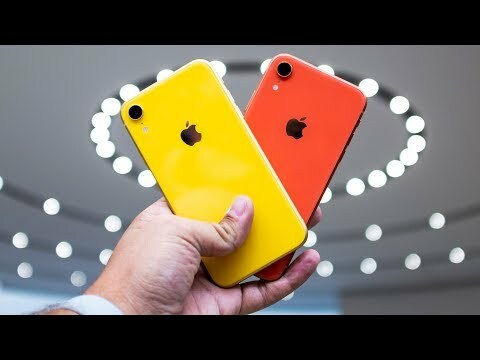 The latest price of Apple iPhone XR was updated on Apr 22, 2019, 09:25. Apple's Latest "Shot on iPhone" Video: Is It All Just A Gimmick? May bago nanaman yung iPhone?